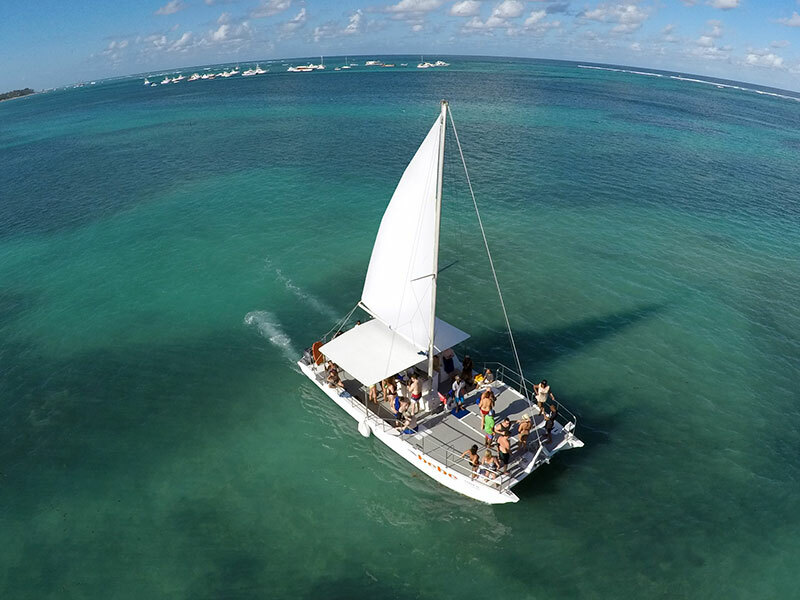 Our Catamaran Sail is one of the most relaxing catamaran excursions found in Punta Cana or the best party! You create your own atmosphere on this private charter. This 40 foot catamaran gives you space to lounge or space to dance! 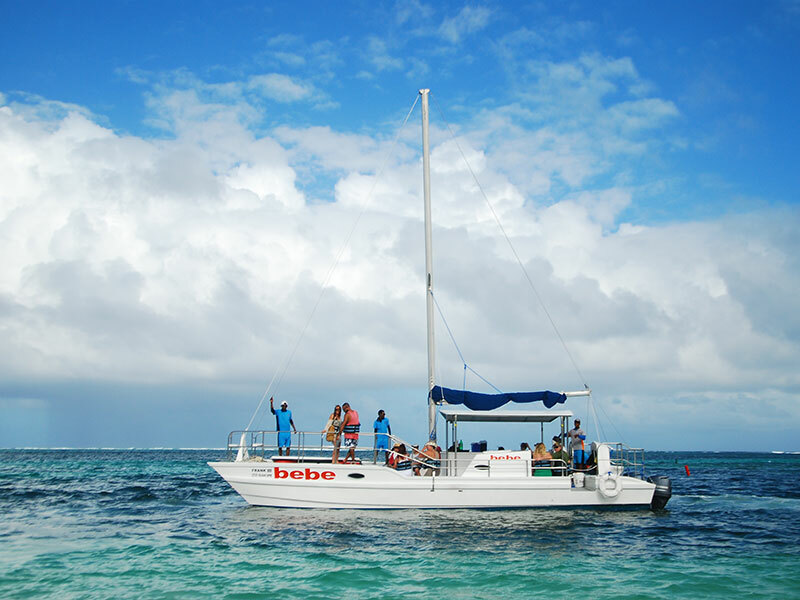 We'll cruise along the Punta Cana coast with panoramic views of locals resorts, powdery sands and coconut palms. 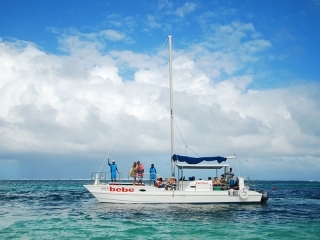 The first stop is for some snorkeling in the Caribbean Sea. Get your gear and jump in these crystal clear waters! One of our staff will lead you around Punta Cana's tropical, coral reef for up close and personal contact with a myriad of fish. Our second stop is at a natural swimming pool, a gorgeous sandbar, well off the Punta Cana shoreline. In these waist-deep waters, our floating bar is open, making its rounds with drinks, fruit and sandwiches. We like to see our clients with the Sun, Sand and a drink on their hand! Cruising back to our original jump-off-point, relax with a Caribbean cocktail, a cool breeze and the music of your choice filling the air. 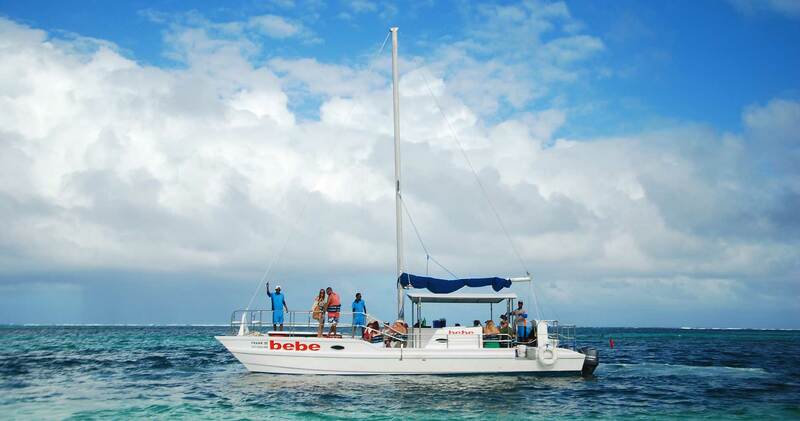 What is the difference between the Baby Catamaran and the Baby Catamaran II? 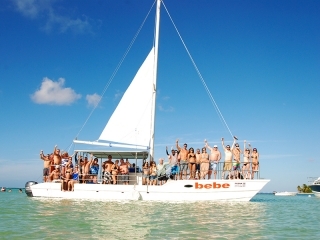 The Baby Catamaran II is for groups of 25 to 40 persons, while the Baby Catamaran only has the capacity for 22 persons. 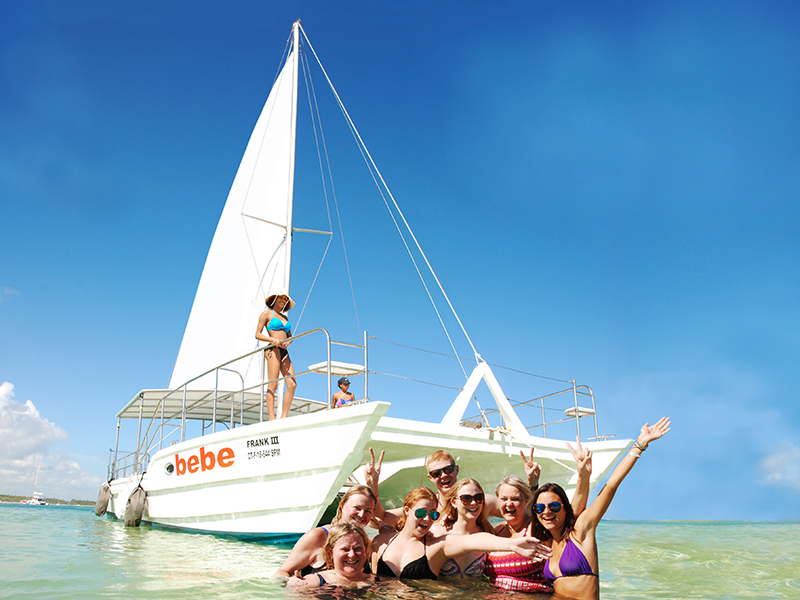 The Baby Catamaran II does not have the net in the front, like the Baby Catamaran. Is there a child discount? On this charter there is no child discount, children under 2 are free.